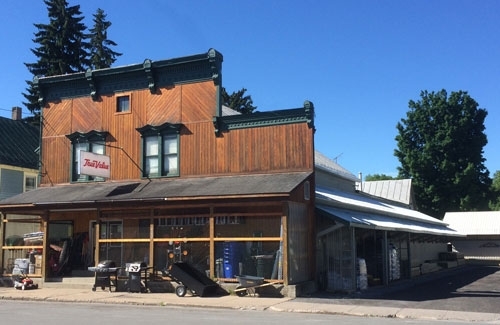 Dolhof Hardware is proud to serve the many towns & villages in the Lewis County region of New York. They include: Lyons Falls, Greig, Lyonsdale, Turin, West Turin, Leyden, Martinsburg, Port Leyden, Boonville, Lowville, Turin, Constableville, Brantingham Lake and the Old Forge area. Manufactures include New England Wood Pellet, Sikkens Stains, and Union Corrugating Steel Roofing and many more. Come in and sit or email your building plans to one of our building specialists. Allow us to provide a free quote on your upcoming building projects and renovations. We offer a full-service paint department, Sikkens and minwax stains along with a wide range of supplies to make any job easy. Let us color match or help you create a new ambiance for your home inside and out. Certified premium grade pellet fuel made from a proprietary blend of hardwood and other wood species. We have an array goods directed to suit all hunting and fishing enthusiast. Starting with a selection of rifles and ammunition for all seasons. Fishing poles and tackle to assist any age angler enjoy the great outdoors. We also provide NYS hunting and fishing licenses.